Plantar fasciitis is one of the most common injury in runners, and one of the most common causes of heel pain. It involves an inflammation of a thick band of tissue, tendons and ligaments that runs across the bottom of your foot and connects your heel to your toes, called the plantar fascia. The inflammation is usually caused by overuse for instance by a very big increase in your running mileage. If the plantar fascia continues to be overused when it is inflamed, it can rupture (1). When you have plantar fasciitis the pain is typically sharp and located at the base of the heel. The pain worsens if you put weight on the heel after a long period of rest. Other symptoms include swelling and numbness in the bottom of the foot and radiating pain from the bottom of your foot to the heel and Achilles tendon. If your plantar fascia ruptures you will experience significant swelling and acute pain in the sole of the foot. The pain is typically worsened by resting while it gets a little better when you walk or run and the plantar fascia gets warm. Plantar fasciitis can be caused by a sudden and/or big increase in your running mileage, or by a biomechanical flaws in your foot structure (high arch of the feet or flat feet). All of this can overload the plantar fascia and the stress can result in inflammation or even tears in the plantar fascia. Another cause of plantar fasciitis is stiffness in the calves, which will put the plantar fascia under more pressure when walking (2). Overuse: Long periods of standing and/or a big increase in exercise, especially running. High arch of the feet: Check that you’re wearing the right kind of shoes for your foot. Flat feet: Because of the tendency of flat feet to excessively roll inward during walking or running. You can fix this by adding calf raises to your strength training routine. Calf raises are good because they strengthen both the calves and the muscles under your feet. Different leg length: You can fix this by using a special sole inside your shoe to compensate for the unequally long legs. 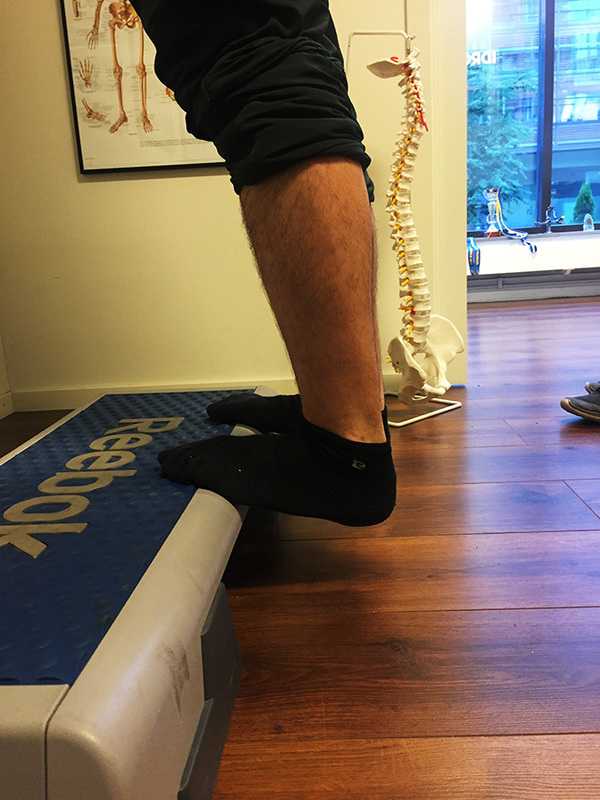 Achille’s tendon tightness: This is because if you have a tight Achille’s tendon, it will pull the plantar fascia and modify your foot posture. Obesity: 70% of the individuals who present with plantar fasciitis are obese (3), indicating that weight loss may reduce the risk of plantar fasciitis in obese people. Plantar fasciitis is an extremely uncomfortable condition which gets worse to live with and harder to treat the longer it persists. Resting and ice on the area of pain: Apply ice over the area of pain for 15-20 minutes for up to four times a day. Calf strength training: This is the first step of the active rehabilitation and it’s very important because it will stabilize your ankle and heel. When you start your rehabilitation training your rehab trainer can also apply neuromuscular taping to support the bottom of your foot. 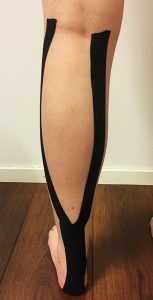 Calf stretches: Stretching the calves is important because of the close connection between the Achille’s tendon and the plantar fascia. This will help you take away pressure from the plantar fascia and therefore achieve better results in your training. Weight loss, if necessary: This applies to obese individuals who suffer from plantar fasciitis because the lower weight will mean less stress is put on the plantar fascia. 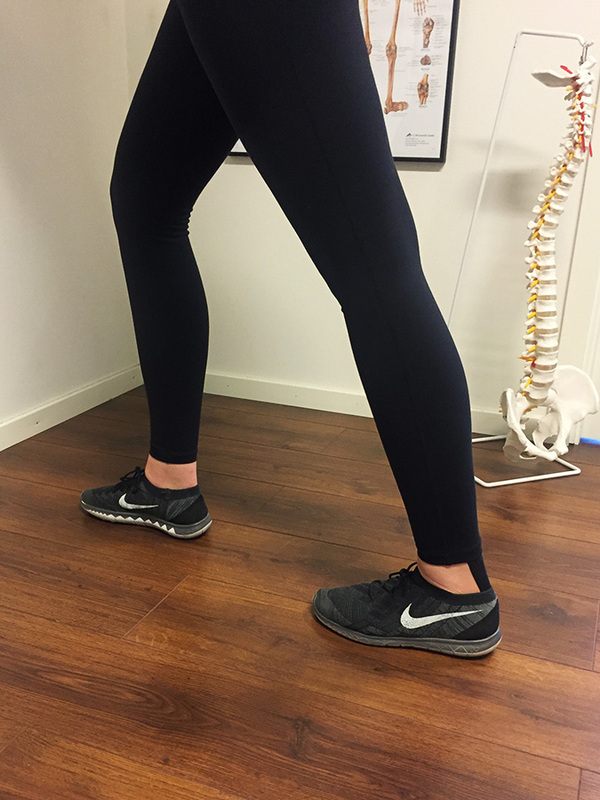 Calf raises: This is an effective exercise to prevent or recover from pantar fasciitis since it will make both your calves and your Achille’s tendon stronger. This is good because of the close connection between the plantar fascia and the Achille’s tendon. If you’re not used to this exercise or if you’re not able to do this exercise easily because of pain or stiffness, you can start, in agreement with your rehab trainer, by doing it with bodyweight and then increase the weight when it feels too easy with bodyweight. Other strength exercises for the legs: In addition to calf raises, you will benefit from adding other leg strength exercises to your training program, like squat and lunges. A stronger muscle mass in the whole leg will help prevent this injury or prevent it from returning once you recovered. This is because a stronger muscle mass will take away some of the stress from the plantar fascia when you’re running. Achilles tendon stretch: Stand about 40 cm away from a wall with one foot in front of the other (the injured foot should be in the back). From this position, bend your front knee while keeping the back leg straight and lean in towards the wall to stretch. Keep the position for 10-15 seconds and then relax. Repeat the same stretch 10 times three times per day. Plantar fascia stretch: You should sit down on a chair and from this position pull back the toes of the injured foot towards your shin until you feel a stretch in the arch of your foot. Keep the stretch for about 10 seconds and then relax. Repeat the same stretch 10 times three times per day. Calf stretch: You should stand on the bottom step of a stair with your legs apart at shoulder width and with your heels just off the step. From this position, lower your heels keeping your legs straight. Keep the position for 10-15 seconds and then relax. Repeat the same stretch 10 times three times per day. This entry was posted in Personal training, Rehabilitation training, Running and tagged fit, fitness, idrottsmedicin, löpare, löpning, personal trainer, Personlig tränare, Rehabiliteringsträning, run, running, trainer, träning. Bookmark the permalink. Thank you! I’m glad you enjoyed it, if you have any question, feel free to ask!